This sable was a great souvenir. 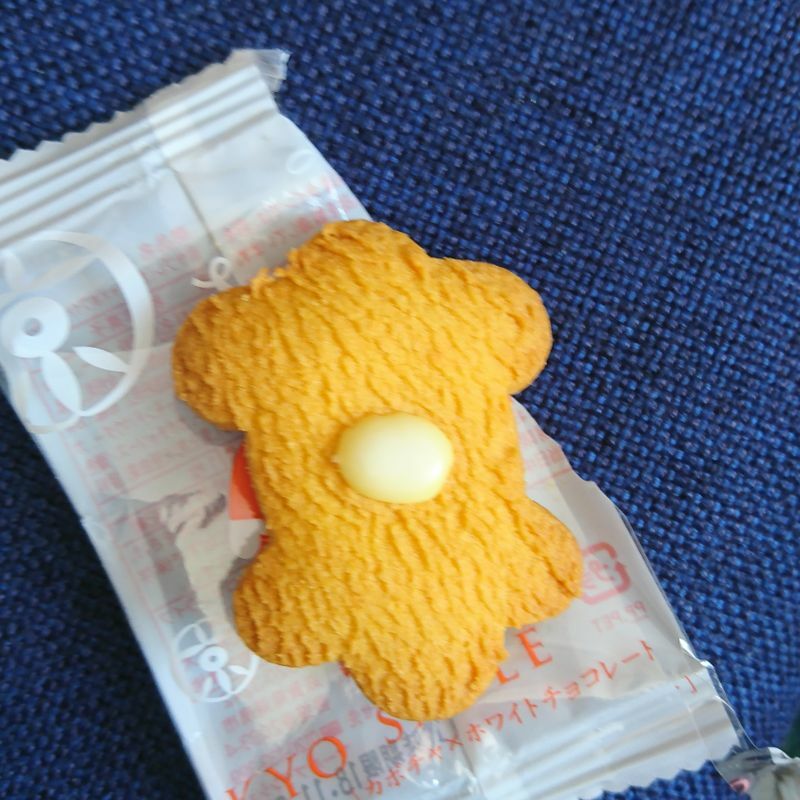 It was perhaps just a cookie from Kyoto, but it was not until I opened the package was I surprised by how cute it was. 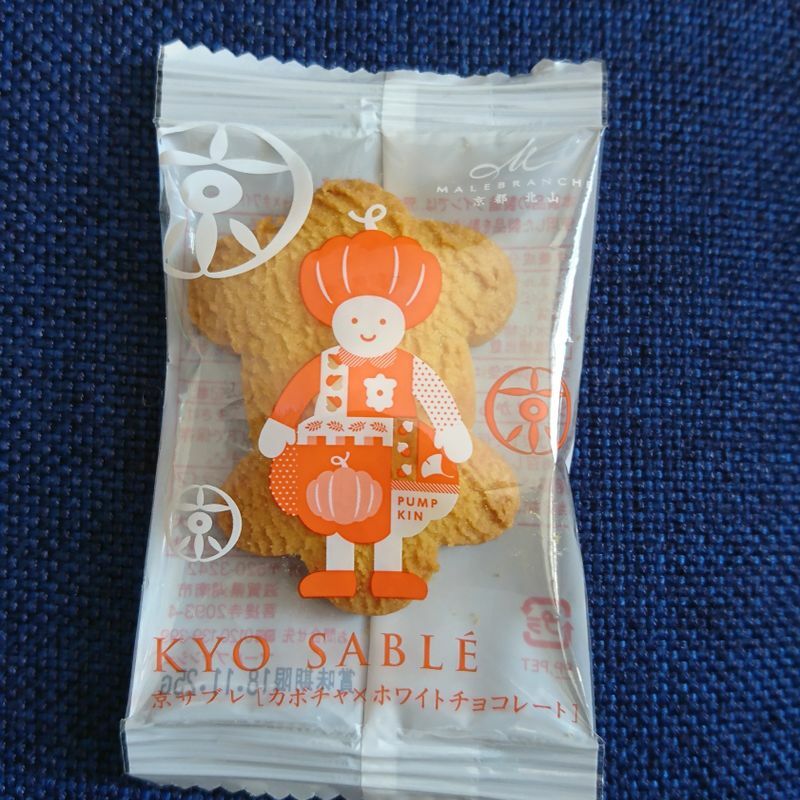 The package of this sable has a very cute character, but I was confused how it was "Kyoto" besides just the name. When I took the snack out though, I realized that there was a dot of a cream in the middle, then it hit me. The sable itself was making the kanji 京 itself!!! That made this souvenir sooooooo much cooler than the standard cookies with the name of the place printed on. The next time you travel to Kyoto, consider picking this up as your souvenir to bring back!